Soy, an item of soybean, is a widespread food. A large number of people prefer to eat soy related dishes and also enjoy it. But unfortunately some individuals are allergic to it. Do you ever suffer from headaches, fatigue, or drowsiness? Depressed or irritable mood? Do you ever have difficulty concentrating? Or experience flu-like symptoms; nausea or muscle pain stiffness? Not to worry, you probably just need another can of soda because all of these are symptoms of caffeine withdrawal. In the world of natural health, we often hear of exotic fruits that promise to be the next “big thing”, the next superfood. 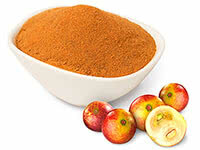 Camu camu is one of these fruits. But in the case of this fruit, it isn’t all hype. Actually, the camu camu berry-like fruit is awesome. 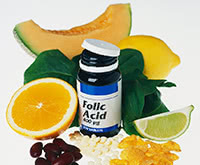 Folic acid is a B vitamin. It helps the body make healthy new cells. “Folic acid” and “folate” mean the same thing. Which Variety of Oats is the Healthiest? Food-Borne Illnesses. Is your Food Really Safe?